Living Life by Design - with Alan and Mark: Please Yourself! 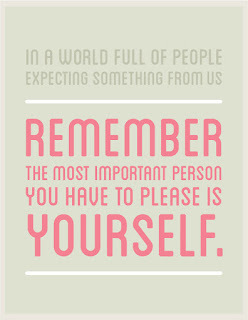 How often we fall into the trap of trying to please others! I grew up with the understanding that if I could please the people around me, this was a sign of success. I would find myself changing my behaviour to match the requirement of the person with whom I was interacting. I told myself that I was ‘keeping the peace’, ‘making people feel good about themselves’, or ‘being flexible’. It did seem to work for a time, but it was exhausting! This starts very early for most of us. Our well-meaning parents and teachers smile at us when we offer behaviour which they find pleasing; and withhold their smiles when we offer something that is not pleasing to them. We love the feeling of approval when someone flows their love towards us…. and so we strive to repeat the behaviour in order to experience that flow once again. 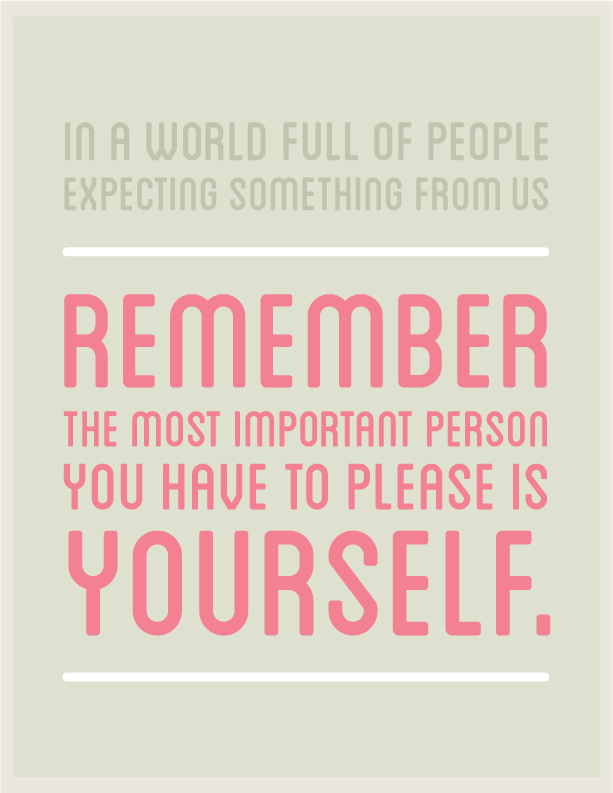 Before we know it, we have fallen into a pattern of being people-pleasers. I believe it may have been Sir Winston Churchill who once said, 'You can please some of the people all of the time, all of the people some of the time.... but you cannot please all of the people, all of the time'. I have come to realize that you can't actually please even one person all of the time. Different people require different things from us. We find that we have to be willing to ‘jump different hurdles’ to meet with their approval. Problem: when we have mastered one set of expectations, they up and change their requirements! When we continually accommodate our behaviour in order to make others happy, then gradually, piece by piece, we lose the reality of who we are. We can keep it up indefinitely, but at what cost to our own mental and emotional health and growth? There is always the hidden dread that we may one day find ourselves in the company of several people, each requiring a different set of behaviours from me, all at the same time, in the same room. How would I react then? Once I embraced my truth that I had not come in to this life to make the happiness of those around me dependent upon me, I found a sense of freedom. Sure, it meant that I had to give up seeking the approval of others but that, in and of itself, gave me a sense of relief. It also meant that I would sometimes meet with the disapproval of others, but it was more satisfying to live with greater authenticity. Someone once said to me that other people’s opinions of me is none of my business. Since then, I have heard this advice often, though maybe in slightly different ways. The freedom that comes with developing a sense of self-worth that is not dependent upon the whims and expectations of others is something to be treasured. I am attempting to incorporate the idea and adopt the attitude that, with regards to people’s comments about me, or my behaviour, ‘Praise and Blame – they’re all the same’. If I can retain my equilibrium regardless of the conditions around me – including the opinions of my companions on this journey of life – then I will come to know that I don’t have to wait for any conditions to change in order to be at peace within myself. I will be able to maintain the alignment with the best that is within me, and will finally be practicing unconditional love. Are we losing our selves?